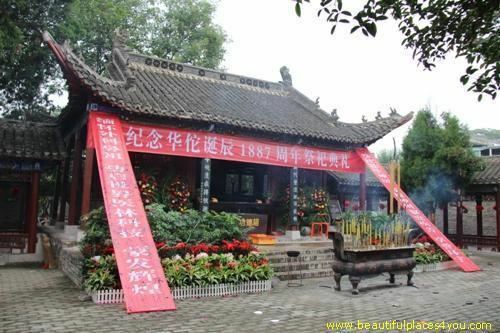 Bozhou is a prefecture-level city in northwestern Anhui province, Peoples Republic of China. It borders Huaibei to the northeast, Bengbu to the southeast, Huainan to the south, Fuyang to the southwest, and the province of Henan to the north. Its population was 4,850,657 at the 2010 census whom 1,409,436 lived in the built-up area made of Qiaocheng urban district, even though it remains largely rural. Bozhou features a monsoon-influenced humid subtropical climate (Koppen Cwa) with four distinct seasons. With an annual mean temperature of 14.66 °C (58.4 °F), the monthly 24-hour average temperature ranges from 0.6 °C (33.1 °F) in January to 27.3 °C (81.1 °F) in August. Winters are damp and cold (yet the precipitation is low) while summers are hot and humid. Rainfall is heavily concentrated in the warmer months, as more than half of the annual total occurs from June to August. With monthly percent possible sunshine ranging from 46% in January and March to 54% in May, the city receives 2,242 hours of bright sunshine annually. 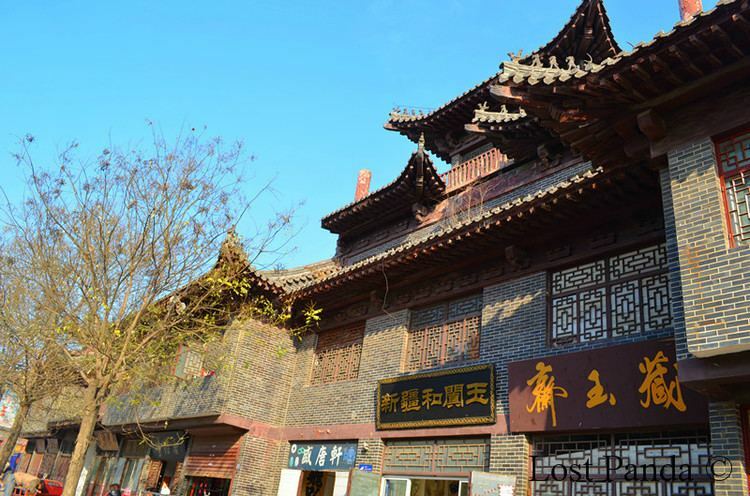 Bozhou was, in addition to being a prefecture during the Tang Dynasty, once the Qiao Commandry at the time of the Sui Dynasty. In 1355, during the Mongol Dynasty, Han Liner was proclaimed by Liu Futong to be the Emperor of Great Song (, a reference to the extinct Song Empire) with the era name Longfeng ( "Dragon and fenghuang"). Chao was nicknamed "The Little Ming King" . In 1368, Bo Prefecture was downgraded in status and became a county. In 1496, it was again upgraded to a prefecture then later lowered to a county in 1912 when it became Bo County. In May 1986, it was upgraded to a county-level city administered by the Fuyang Region (). In 1996, Bozhou was upgraded to a provincially directly administered city (), under the control of Fuyang City on behalf of the province. The province has directly administered Bozhou since February 1998. In June 2000, Bozhou was made a prefecture-level city. Bozhou is currently the capital of Traditional Chinese medicine (TCM) in mainland China, with one of the largest TCM industries in the country. In 2008 companies based in Bozhou exported over 160,000 tons of products (out of total Chinese exports of 240,000 tons). Whilst relatively undeveloped in terms of westernisation, Bozhou continues to be the primary location for TCM within China. The international TCM Expo is held in Bozhou on the 9th of September each year which sees delegates from around the world coming to discuss TCM. Bozhous population currently stands at around the three million mark which makes it small by Chinese standards. Whilst Bozhou is currently developing and expanding, it still has few internationally recognized brands based in the city.